The interests of the foreign investors in the immovable property in Turkey continue at full speed. Land Registry and Cadastre General Manager Mehmet Zeki Adlı said that the outsiders are at the increase in the acquisition of real estate in Turkey. Stating that some restrictions on real estate sales to foreigners have recently been eliminated, Zeki Adlı continued his words "Across Turkey, 147.924 foreign people have so far acquired 68.319 immovable properties. If we look at the figures of last year, we see that 24.111 outsiders have bought 15.508 real estate." Providing the information that last year in January, 1.394 foreign people purchased real estate, and in January of this year this number has reached 2.027, Adlı also stated "As we see there is still an increase here, increased interest of foreigners in Turkey. 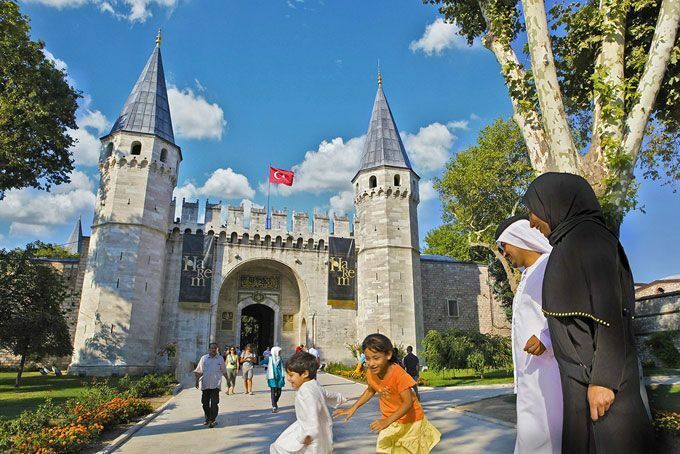 With every aspect Turkey is a place where especially Western people are fans of. Although there are some negative propaganda in recent years, people visit Turkey and see that they are nothing but all unreal claims, so foreigners are currently investing with peace of mind and this is reflected in these figures as well." Zeki Adlı, regarding the total sales prices of investments belonging to foreign nationals, said that "For real estate purchase in Turkey, foreign people spent 1 billion 622 million 579 thousand 540 Turkish Lira in 2013, 2 billion 832 million 994 thousand 677 Turkish Lira in 2014, 3 billion 875 million 100 thousand 523 Turkish Lira in 2015, 3 billion 493 million 724 thousand 531 Turkish lira in 2016. And in 2017 this number almost doubled and reached 6 billion 534 million 761 thousand 466 Turkish Lira. " Adlı also clarified "By the way, when we look at the investments done by foreigners, we can see the British with 24.037 people, followed by 14.199 Russians. In the third place, we see 13.491 Iraqi people, 10.006 Germans, followed by Kuwaitis, Norwegian, Saudi Arabian, Swedish, Danish and Belgian citizens." Adlı stated that demands were mostly from foreign investors in European countries and that tourist attracting regions are often popular. He gave the information about immovable investments made by 56.364 foreigners, Antalya is in the first place. On the other hand, Adlı also shared the following statistics: it is observed that 31.361 people of foreign countries as well as in Antalya, 16.408 of them are investing in Aydın, 12.258 are in Mugla, 5.767 in Bursa, 4.875 in Yalova, 4.304 in Mersin, 3.071 in Ankara, 2.699 in İzmir and 2.495 in Sakarya.